Google Palestine Hacked And Defaced, deface message says 'Its Palestine not Israel'. Home » Hacking News » Google Palestine Hacked And Defaced, deface message says ‘Its Palestine not Israel’. 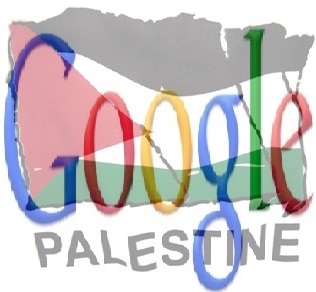 Google Palestine Hacked And Defaced, deface message says ‘Its Palestine not Israel’. A group of Palestinian hackers have hacked and defaced the Google’s primary search domain for Palestine (https://www.google.ps) earlier today. No News Is a Good News, Uncle google we say hi from Palestine to remember you that the country in google map not called israel. its called Palestine! 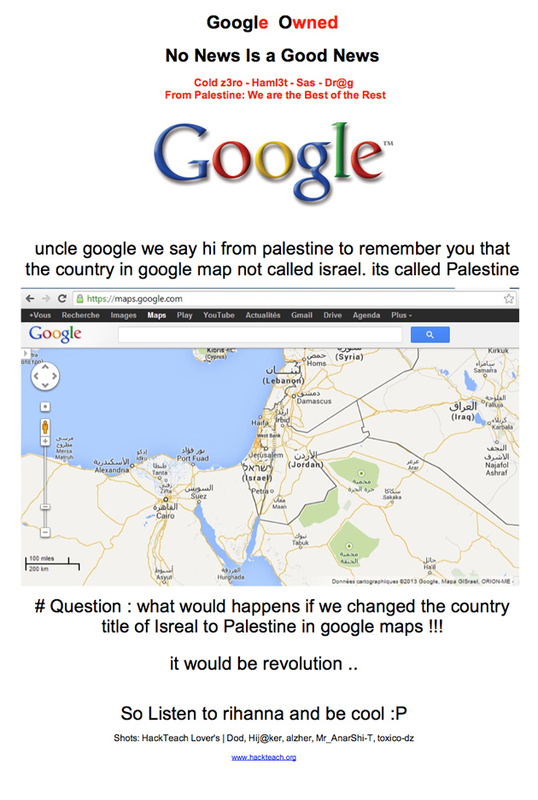 Question : what would happens if we changed the country title of Israel to Palestine in google maps !!! it would be revolution .. So Listen to rihanna and be cool. It seems that site was hacked through domain registry attack, redirected to another server altogether. The method used remains unclear, however, a ‘could be’ theory is that company which provides domain Google with registry service for Palestinian region was compromised, allowing hackers to hack and deface the site. At the time of publishing this article, the Google Palestine domain was restored and working online.